An Adjudication Officer in the Workplace Relations Commission (WRC) has described the termination of a crèche manager’s employment as being “devoid of procedure”, and as having being implemented without due regard to the rights of the employee. The claimant was employed as a manager of a créche from 2012 to 2017. In late 2016, the employer told the claimant that other staff felt that they were “walking on eggshells” around her. She was informed that members of staff had complained about her and that they had been asked to put their complaints in writing. 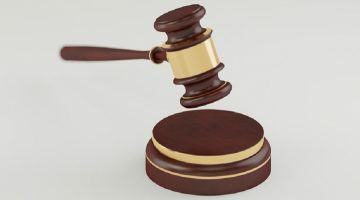 The employer stated that they met with the claimant in February 2017 to discuss the allegations of her fellow employees. However, the claimant “wouldn’t entertain any conversation” in relation to these complaints. The claimant told the employer at the time that she felt stressed and was considering resignation. She submitted a medical certificate citing workplace stress and was out of work for a number of weeks. The employer wrote to the claimant and advised her that a full investigation of the complaints against her would be carried out. The parties met in early April 2017 and the employer argued that the claimant “provided perfunctory answers to the questions that she was asked”. She was asked to put her responses in writing but no responses were provided. The employer claimed that they were “left with no alternative but to dismiss her”. 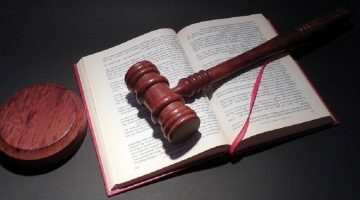 The claimant, however, argued that no details were provided to her in relation to the specific allegations made by the other employees. She also referred to the fact that a disciplinary procedure was used that she had never seen before. She claimed that at a meeting in April 2017 she was informed for the first time of the serious allegations made against her. Following the meeting, she wrote to the employer seeking copies of statements and documents. She received a letter of dismissal in late April 2017. The WRC held that dismissal was contrary to natural justice and that the unfortunate element of the case was that the employee had been denied the right to protect her good name with obvious implications for her professional life and standing in the local community. The principles of natural justice should be at the core of any disciplinary process against an employee. The minimum requirements are that an employee is told the specific details of the allegations made and the likely consequences if the allegations are upheld. An employee must be given the opportunity to refute the allegations or alternatively to explain his/her conduct. Finally there must be an unbiased consideration of the employee’s explanation before any decision is made to impose a disciplinary sanction, particularly where the sanction is dismissal which results in the loss of a person’s livelihood and potentially their good name. 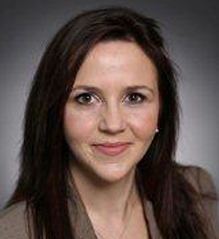 Edel Kennedy is an Associate in the Employment Law and Benefits Team of Mason Hayes & Curran. Edel offers an experienced, solution-focused approach to clients from a wide range of sectors including retail, educational sector, public sector, manufacturing, and information technology. Edel is regularly involved in representing clients in actions for breach of contract, employer liability claims and personal injury cases for bullying. Edel also advises clients on all employment issues including grievances, trade disputes, disciplinary investigations and proceedings, the termination of employment, and complaints of bullying or harassment. For the last number of years, Edel has lectured in the Education Law Diploma at the Law Society of Ireland, and has acted as External Examiner for the Diploma course. Edel has also lectured in the Employment law Diploma course at the Law Society of Ireland.